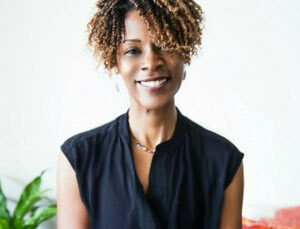 Chara Caruthers is a passionate and outspoken advocate of the power of living your bliss. She’s a longtime yogi and wellness evangelist for hyper-busy women who are aging too fast and killing themselves softly every. Single. Day. An ex-corporate engineer and wanderer by nature she’s travelled, lived, and taught all over the globe and is grateful to have studied with an extraordinary group of world renowned teachers. These days, as a yoga therapist, ayurvedic practitioner and wellness coach, she devotes her time and energy to using the tools of yoga and Ayurveda to support and empower women to recover their vitality and live juicier more connected lives. Her challenge is clear and powerful…Know yourself, Love yourself.